▷ Best Cap highlights 2019 ¡Photo ideas & step by step! The cap highlighting method consists on applying highlights with the use of a perforated cap that is placed over the head, the trick it to pull out thin strands of hair with a hook (usually a crochet hook), the amount of hair that is chosen to be pulled through each of the cap holes it’s what will determine the amount and thickness of the highlights. 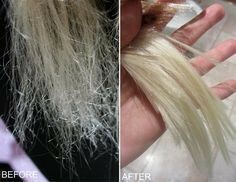 And then the hair dye is applied to the hair strands that were pulled through the cap. 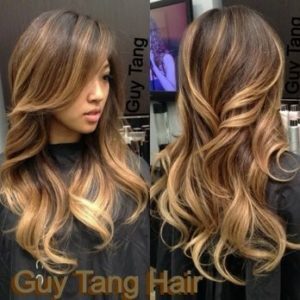 Cap highlights are usually rejected by people who do not know or understand how to do them, the thing is that cap highlights are more effective in short hair as it is not only easier to pull shorter threads of hair though the cap and lengthy hair or even curlier hair can be trickier, not impossible. For a stronger and more noticeable effect the hair that is pulled through the wholes should be in a greater thickness, this will give them a wider range of highlights that will make them more noticeable. And if what you are looking for if for a subtler look then what you need is to pull thinner strands of hair through the cap to make them just noticeable enough, they will add light and shine to your hair without a bigger change. Why should I use cap instead of other methods? Well, highlights done with the cap are faster to make and easier as well. If you compare them to foil highlights, the end result is not really that different but when you are in a shortage of time then cap highlights are for you as they can take far longer, the highlights need to be applied one by one and need a more professional and careful eye and they also have more possibilities to fail. 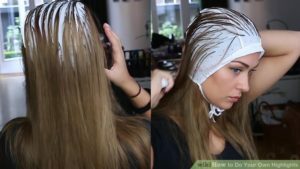 By the usage of the cap you can be completely sure that the end results are going to be great and beautiful no matter what, and the only thing you need to do is to take the time to take the hair strands out through the cap holes and you will have a perfectly highlighted hair! It does not really mean that they are impossible to ruin or that they are always going to be perfect, but they have higher chances of having the best possible results. 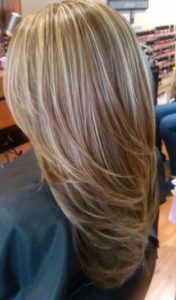 But do not let this push you away from having your highlights, there is always a risk of having bad results when you have any type of change of look in your hair. Hair gets an immense boost from highlights, their benefits range from heightened depth and texture to a more visible movement and this creates the overall illusion of fullness. 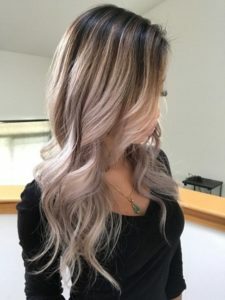 Most people do not dye their hair for fear of damaging it, and while it is true that you cannot avoid that it does not mean that you shouldn’t try it. All you have to do is proceed with caution at the moment of lightening your hair, we recommend for you to trust your amazing hair on the hands of a hair specialist they are the ones who know better what can help your hair and what can’t. Especially if it is the one you always go to. 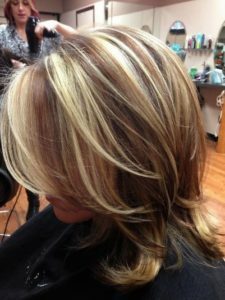 Assuming that you do not really want a complete change of look but after all you still want it, highlights are just perfect for you they will add a touch of color that will give your hair more depth and movement. You just have to take the risk and go to your trusty hair salon and ask for what would work best for you, or simply ask for whatever you want to at the end of the day you are the only one that can decide what ends up going on your hair. They are so simple and easy to match with any hair color they are a really good choice when going for a change of look because as mentioned before it is really easy to find a perfect match for you! 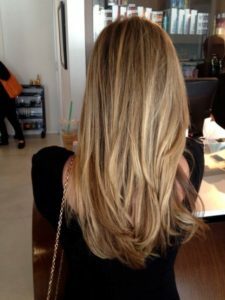 Besides, blonde highlights have been such a trend for so long that we can surely say that they are considered as good as a black dress, classy and timeless and work in every occasion. Take into consideration under tones for your Hair, skin tone and eye color the shade of blonde you decide to use should balance out with the before mentioned. If you have a warm toned skin you should try warm toned cap highlights, but if you on the contrary have cool toned skin then cool toned highlights were made just for you. Choosing the right tone of your cap blonde highlights can be tricky if you have dark hair. 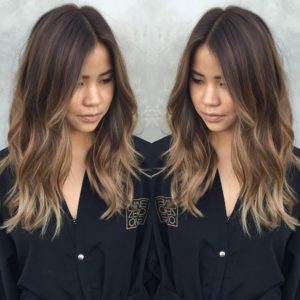 Because if you want a natural look and your skin tone is cool toned then you should try going for brown highlights and not blonde as cool toned blonde is quite light and difficult to reach when you have a deeper base color. 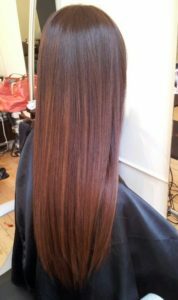 As hair is known for being dark and straight adding some brown highlights can be a perfect idea for you if you want to have a natural makeover. 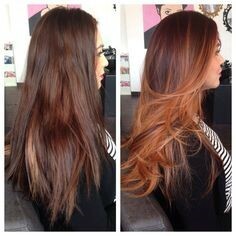 Adding warm browns and copper tones will give you the opportunity to look like a heart breaker! Your dark hair will look amazingly with this kind of cap highlights making you turns heads and steal hearts any place you go. If you want them to pop out a little more, then try adding hints of auburn to your hair creating the perfect amount of warmth in the style that you go for. 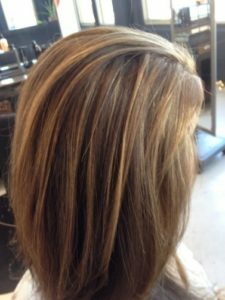 Chocolate cap highlights are also a great idea to add to your dark Hair as they are not really noticeable when you are inside, but once you step out in the direct sun light they will come alive and give you a beautiful look that no one has seen before. Adapting the red hair to work best with your features is an important step and make sure that you trust your hair stylist, they will know what works best with your hair and your skin giving you guarantee that your hair will end up looking its best! 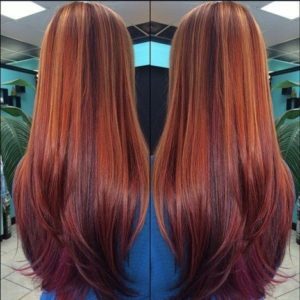 Auburn highlights will not only add depth and dimension to the hair but they will also brighten up your face and give you a more jovial look. A deep maroon, almost purple highlights color can be extremely flattering on your skin tone and your Hair, and it will blend seamlessly with darker hair colors. 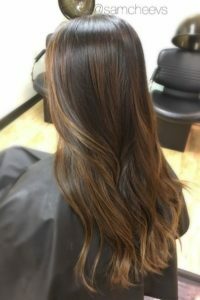 Overall, you maybe can’t decide what hair color you want to apply to your Hair highlights then you just have to think about what look you want to have in general, if you want a vampy or gothic look then sticking to darker colors will give you that vibe, and lighter colors can give you a softer and nicer style. You can add some pink highlights into the mix. Purple will make it look with more style! Some blue highlight can definitely do the trick for you. And what other way but highlights? 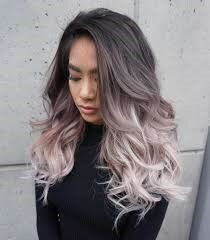 You will have your fantasy colored hair easily and you won’t even have to take such a big chance to have it because you are not really dyeing the totality of your hair but you are dyeing just some parts, so yeah the chance will be big but not extremely as going all aboard with your whole hair. When talking about new hair dyes, we can find that most of them have damaging complements that can really affect your hair if you use them in excess, so you need to be consent of this before dyeing your hair. 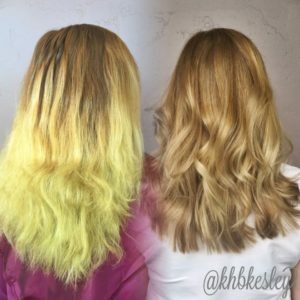 What the hair dyeing process is doing, along with changing your hair color, is damaging your hair by literally breaking its structure eliminating and changing its color. Of course, hair can be revived but not completely, just to a certain extent so do not expect for hair treatments to magically fix your hair after ten minutes. Remember that once you dye your hair there is no turning back to what your hair was before. Once you have decided you do want to dye your hair after this, you also need to take into consideration other side effects like having an allergic reaction that can end up in irritation, itching, redness or swelling of the areas in contact with the dye. Once your hair looks amazing with your new highlights, now is time to start taking deeper care of it so it does not get all numb and hazy thanks to the chemicals in the hair dye. There are a wide arrange of products that you can use to take care of your dyed hair and allow to give it more life (or the illusion of it). The first thing we recommend is for you to change up your daily hair care routine and start washing your hair fewer times a week as excessive washing can also end up in dryness of the hair. 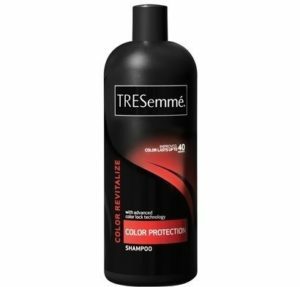 Also never missing your conditioner and changing your hair products to ones that are especial for dyed hair could be the perfect solution for you, like TRESemmé’s “Color protection”. Trimming is another thing that can help you save your hair, and we know what you are thinking, you probably want to let it grow so it is the longest it has even been. But think about it, what is the part that damages the most? The tips! 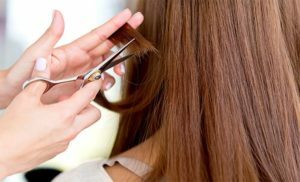 And we are not even saying for you to cut half of your hair off, we are just telling you to cut the tips –maybe 2 to 3 fingers- of your hair for it to stay healthy. These advices will lead you to have and keep your hair healthy and beautiful for a long time.